Singapore’s famous island resort of Sentosa is not unfamiliar to many. If you think you’ve seen it all, you might just be wrong there! 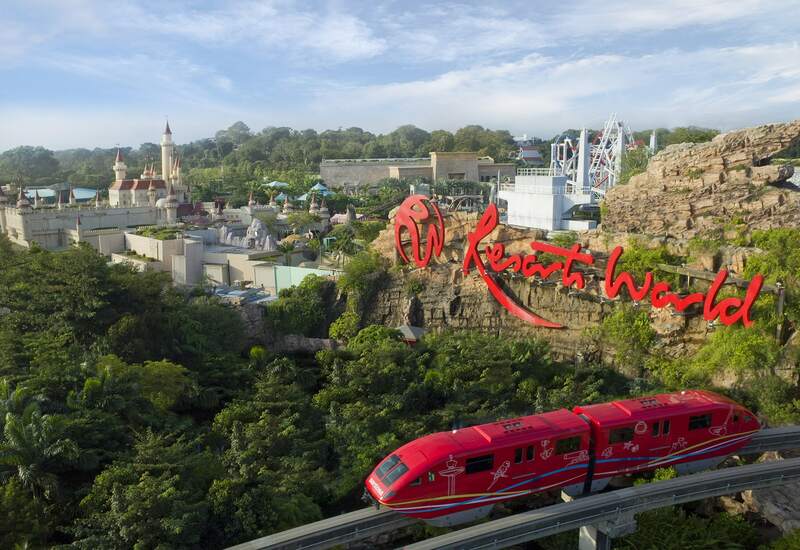 With new and improved features and upcoming events at popular attractions, Resorts World Sentosa (RWS) always has something up their sleeves. Located just 10-minutes away from the CBD, RWS is easily accessible. With everything you need from fun to food and hotels, it’s the perfect all-in-one holiday destination or weekend getaway! Check out these new features at RWS the next time you visit! Getting to RWS is easy! If you’re coming down from the city, hop onto the North East Line or Circle Line of the MRT and head to HarbourFront Station (NE1/CC29). Take Exit E to Vivocity Shopping Centre. From here, you have two options: 1) Walk 1500m to Resorts World Sentosa or 2) Take the Sentosa Express train to Waterfront Station. Alternatively, you can also Klook a transfer from your hotel in the city to RWS! Choose between a one-way or two-way transfer for the ultimate fuss-free way to travel. 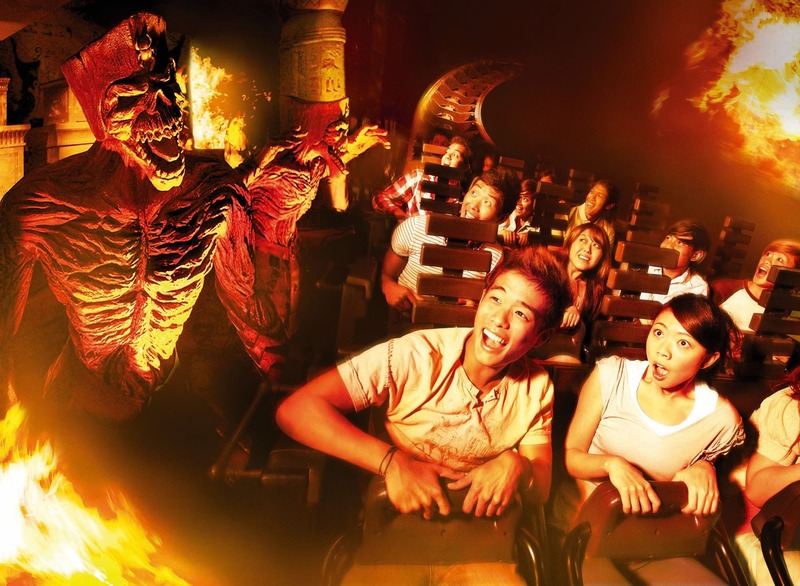 You can count on this year’s Halloween festivities for some spine-chilling adventure as Universal Studios Singapore’s Halloween Horror Nights returns for its eighth edition from 27 September to 31 October 2018. Aside from the Asian folklore-inspired haunted houses, Zombie Laser Tag will return with more obstacles and a larger arena due to popular demand! 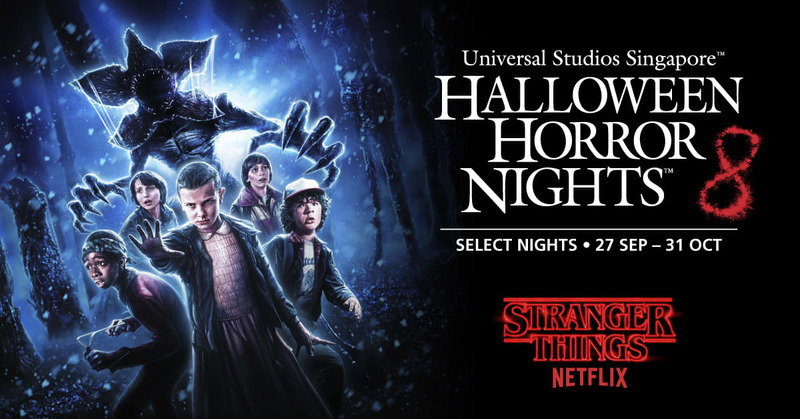 Besides that, Halloween Horror Nights 8 will also feature its first ever tie up with popular TV series, Netflix’s Stranger Things. 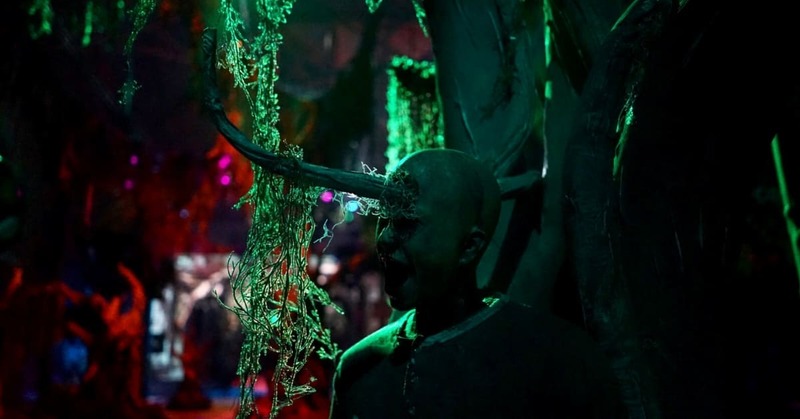 The highly–anticipated haunted house will feature the most number of thematic rooms to date, with fans being transported into twelve artfully recreated scenes and storylines including the menacing Hawkins National, the Byers home adorned with Christmas lights and the eerie Upside Down woods. If you can’t decide which date to visit, don’t worry! All Halloween Horror Nights tickets on Klook are open-dated. For the ultimate scare-fan, consider going for the full VIP experience with an R.I.P Tour. 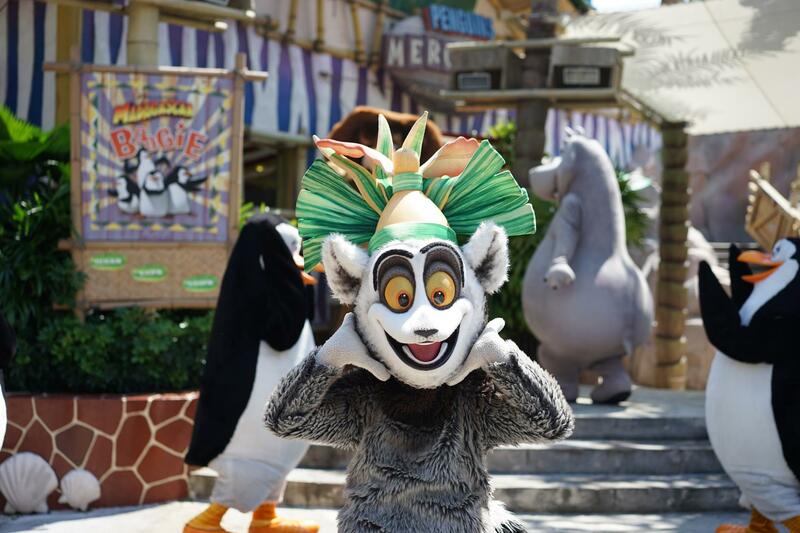 It doesn’t matter if it’s your first time or tenth time visiting Universal Studios Singapore – it’s always as exciting as before, if not more! How can you get tired of crowd favourites like the Battlestar Galactica: HUMAN vs. CYLON™ and Revenge of the Mummy™? 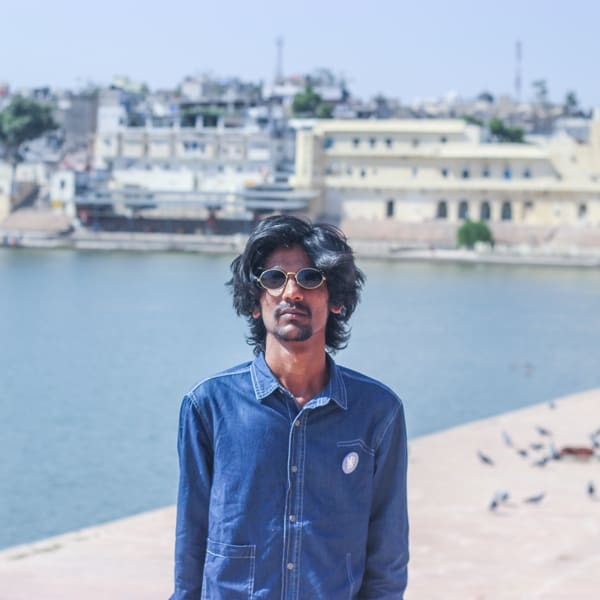 There are also plenty more attractions to explore, maybe some you haven’t had the chance to try during your previous visits. 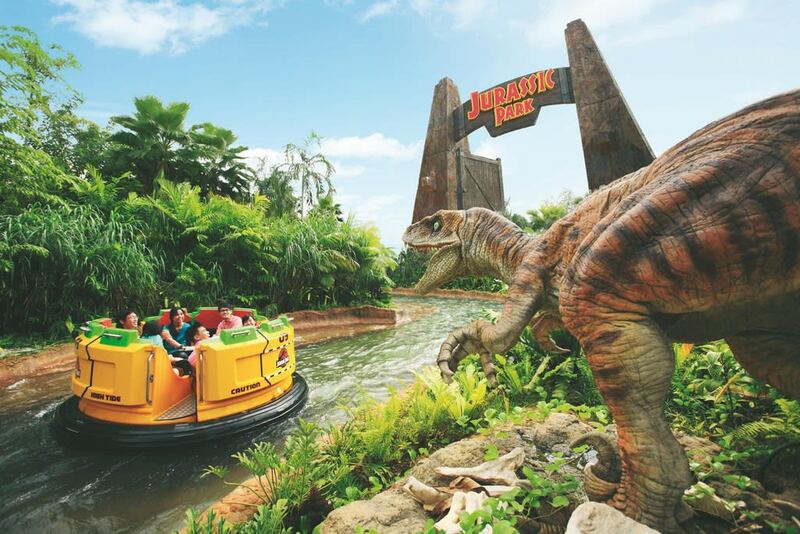 Scale the walls of The Lost World™ at the Amber Rock Climb™, flow down the waterways on the Jurassic Park Rapids Adventure™, or ride the world’s first Puss in Boots’ Giant Journey roller coaster! You can also join in the fun as you dance and sing along at Hollywood Dreams Parade (only available on select Saturdays, Sundays and holidays)! Klook your open-dated tickets for the flexibility to visit on any day within the validity period of your ticket. This will come in handy especially in the event of bad weather or a change in plans. On top of that, you can also skip the regular queues by entering the park directly with a mobile e-voucher sent to the Klook app on your mobile phone. 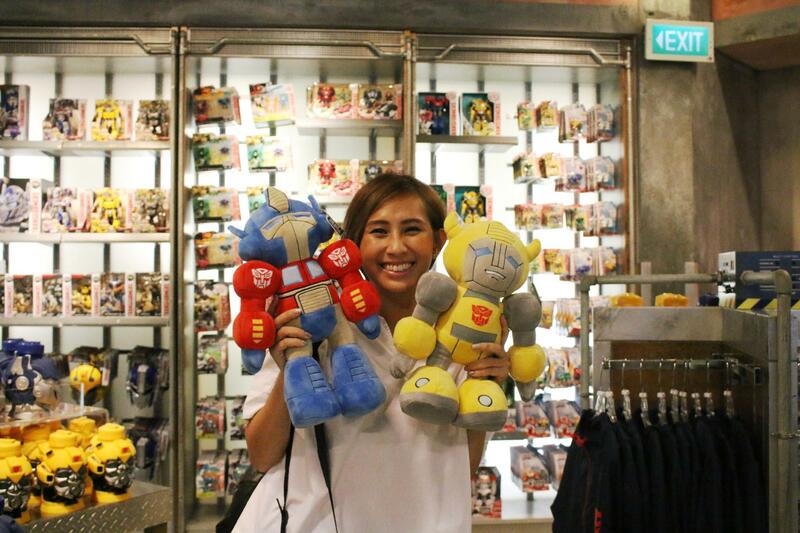 Check out the Klook guide to Universal Studios Singapore to find out how you can maximize your visit to Singapore’s favourite theme park. Southeast Asia’s largest aquarium celebrated the 2nd birthday of its “miracle” baby Vanda on the same day as Singapore’s National Day! Vanda isn’t like any other shark and is believed to have hatched without a father! While this isn’t unheard of, it is extremely rare, thus making Vanda a very unique shark. After saying hi to Vanda, make sure to explore the S.E.A. 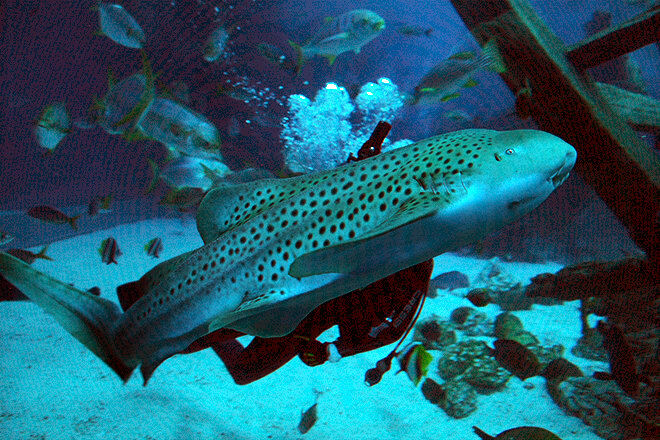 Aquarium and learn about the fascinating conservation efforts that go into increasing wild populations. In fact, a dedicated team at the aquarium recently released two rescued sea turtles into the ocean after two years of rehabilitation! Enjoy great deals for the S.E.A. 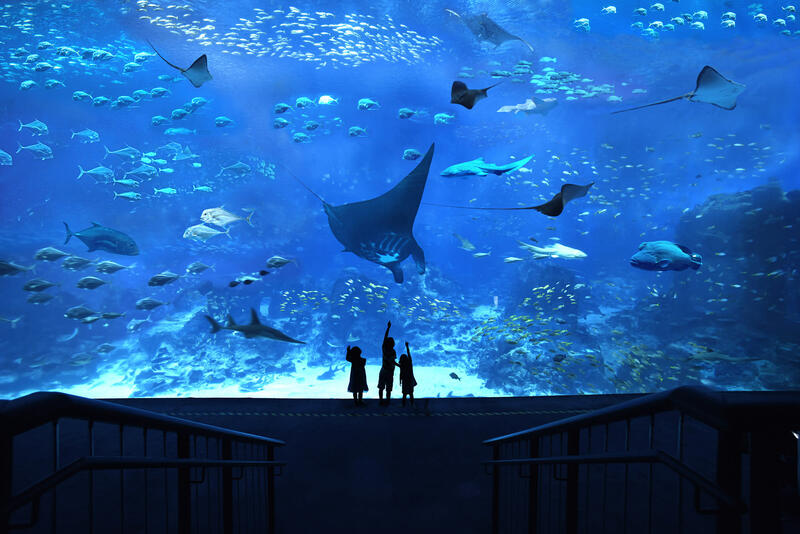 Aquarium with discounted tickets from Klook. You can also enter directly with the e-voucher and since it’s an open dated ticket, you can easily find a day to fit it into your itinerary! 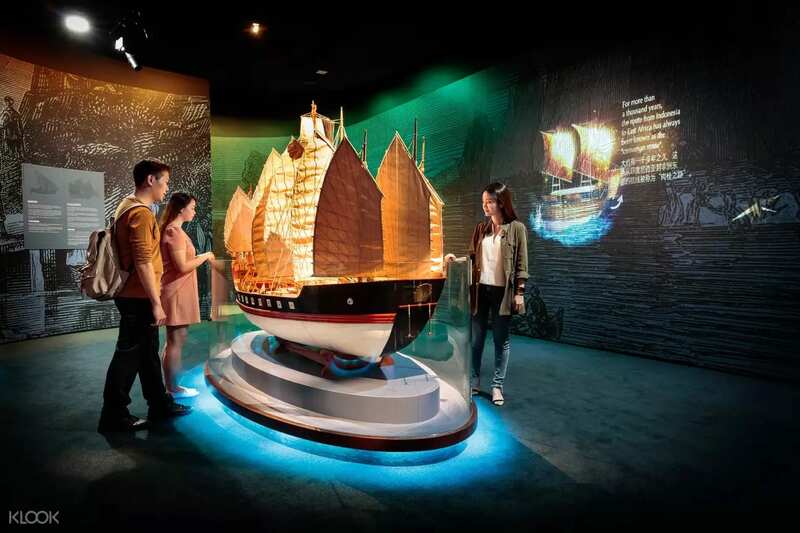 You may or may not have heard yet about the newly improved Maritime Experiential Museum in Resorts World Sentosa. It doesn’t matter if you’re a history buff or not, it’s still a great place for a fun and educational walk-through. The immersive exhibits will take you back in time to the Maritime Silk Route. From Borobudur to Javanese trading ships, discover how they were sailed and built. You can also learn the skills of a sailor or try escaping from pirates in a fun projection experience! Get your Maritime Experiential Museum ticket from Klook and enter directly with the e-voucher. The open dated ticket also allows you the flexibility to change your plans without a worry. Located inside The Maritime Experiential Museum™, make sure to Klook yourself a ticket to the Typhoon Theatre as well. This 360-degree multi-sensory simulation experience takes you on a voyage through the stormy seas on a 9th-century vessel. Even with both feet on the ground, you’ll still feel like you’re fighting your way through a terrifying storm! 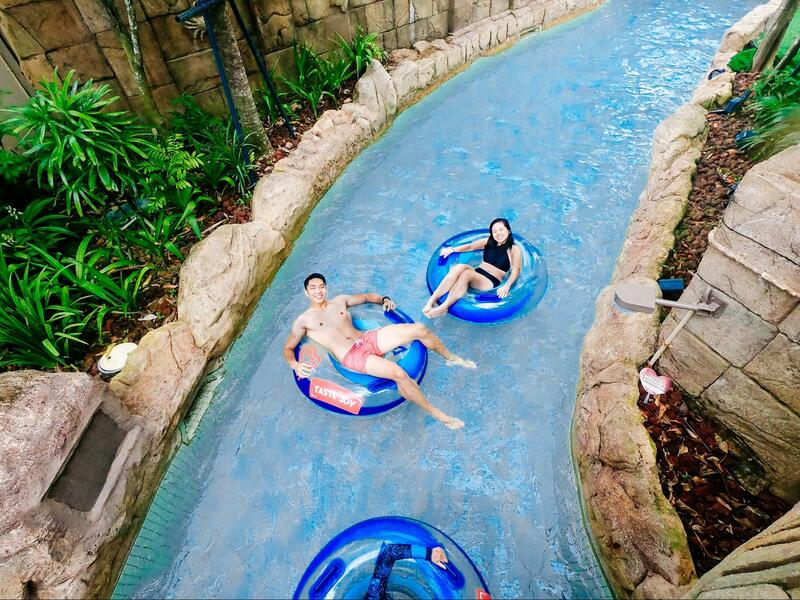 Slide, swim and splash your day through Adventure Cove Waterpark! This aquatic park is definitely one for the adventurous water lover. 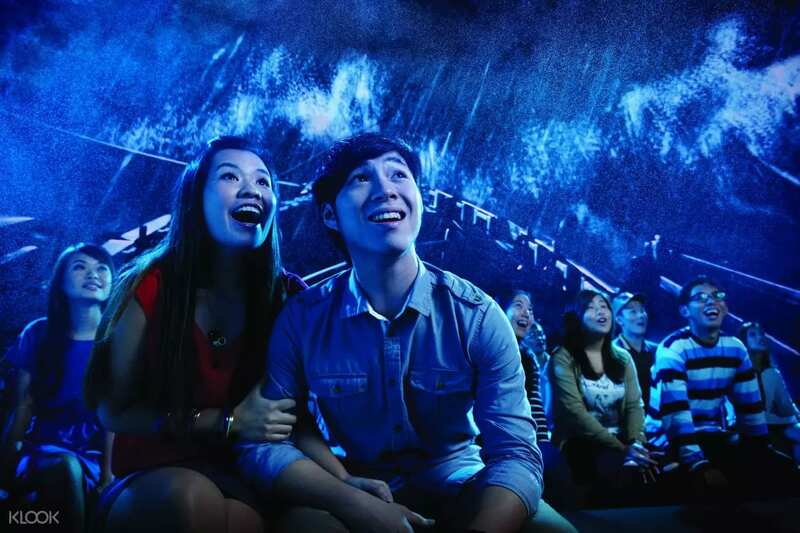 Feel the adrenaline on Southeast Asia’s first hydro-magnetic coaster, challenge a friend to a high-speed water duel, and face your fears on a platform cliff jump. To take a breather from the excitement, float along the Adventure River and enjoy the stunning scenes of a tropical jungle. Did you know that you can also snorkel amongst colorful coral reef and 20,000 tropical friendly fish in Adventure Cove Waterpark for free? 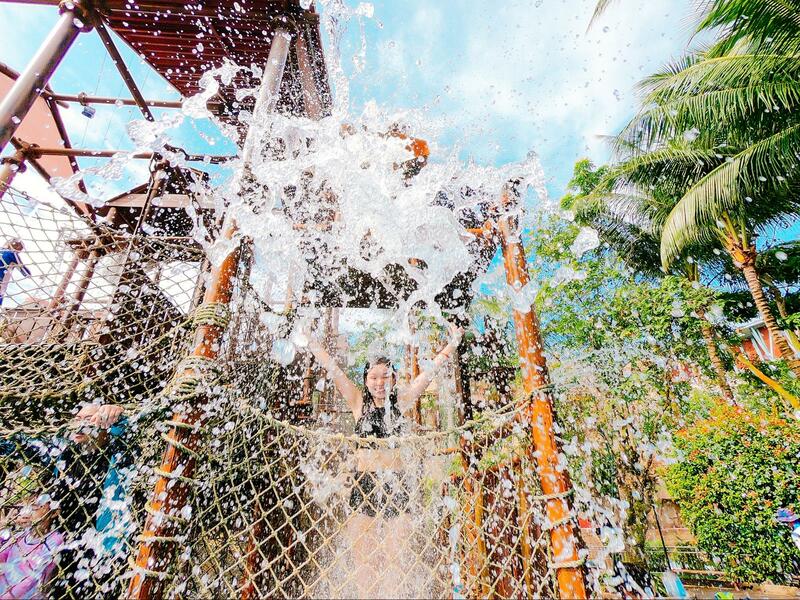 If you’re worried about bad weather on the day of your visit, the best insurance is to buy your Adventure Cove Waterpark ticket from Klook. This open-dated ticket allows you to enter any date within the validity period. With direct entry using the e-voucher, you can also skip the queue. Resorts World Sentosa will see the return of ‘The GREAT Food Festival’ or simply known as ‘TGFF’. Featuring 4 exciting segments – Star Chef Arena, Rollin’ Sweet Times, The Cellar and Feast of Kings – there’s definitely something for everyone. 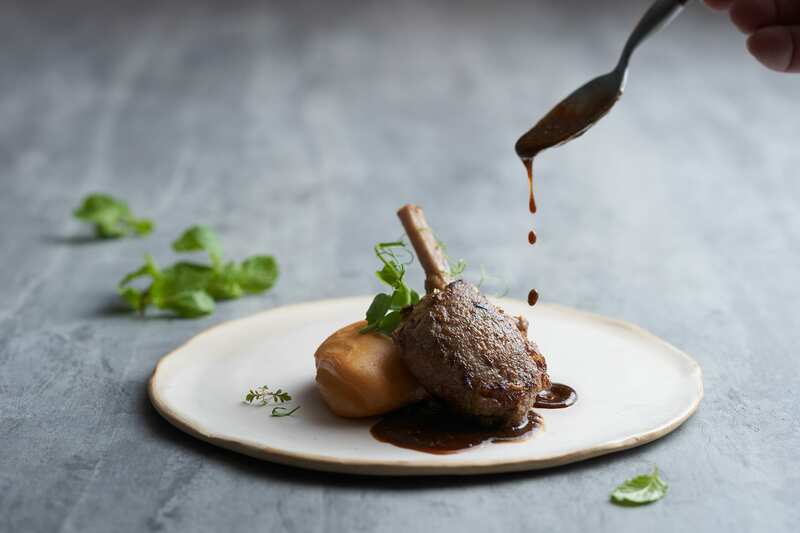 You can find a balance of gourmet to a wide range of culinary experience at TGFF from 27 to 30 September 2018. Aside from the seasonal food festivals, you can always count on the Malaysian Food Street at RWS to satisfy those hunger pangs as well. With a unique old-town ambiance and filled with flavours of Malaysia’s finest and famous hawker eats, you’ll be spoiled for choice. Located at the lobby of Hard Rock hotel, this 3-in-1 restaurant is bound to satisfy all your cravings! Come with your belly empty for a feast at the Crab Session featuring local favourite Chilli Crab and international offerings like Louisiana Seafood Gumbo, Poached Fresh Prawns and more. Aside from the Crab Session, there’s also the dessert zone, Sweet Sessions. Get your usual fare of ice cream, pancakes and waffles to spectacular creations by Kenny Kong, an award-winning pastry chef. Sessions also has a cooking studio where guests can get hands-on cooking experience, guided by RWS’ top chefs. Just recently, Stéphanie Le Quellec from the Michelin-starred La Scène in Paris, France presented an exclusive menu at CURATE restaurant. Meanwhile, Celebrity Chef brothers Enrico and Roberto Cerea also unveiled new heritage recipes inspired by Da Vittorio, a 3 Michelin-starred restaurant, just a couple months back. Even if you’ve missed out on those, you can bet there will be more coming. There’s always something cooking up in the Ocean Suite, so make sure to keep your eyes peeled and taste buds ready! Tucked away in the hidden place by S.E.A. Aquarium, the Ocean Suite is an attraction in itself and a unique accommodation that will make your stay one to remember. These exclusive suites are designed like a two-storey townhouses, complete with a patio and jacuzzi. The star of the suite, however, is the underwater view of the 40,000 marine life facing the bed. Yes, that right. You can enjoy your very own aquarium in the comfort and privacy of your suite! When you’re for a fun day out, simply ask be transported to the nearby S.E.A. Aquarium and Adventure Cove Waterpark. 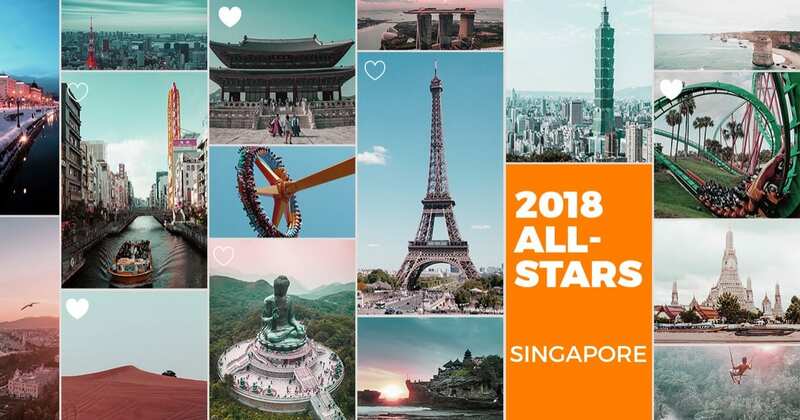 Ready for your Singapore adventure? The world of Resorts World Sentosa awaits! To stay connected throughout your stay in Singapore, make sure to get your tourist SIM Card or WiFi device which you can conveniently pick up when you land at Singapore Changi Airport.